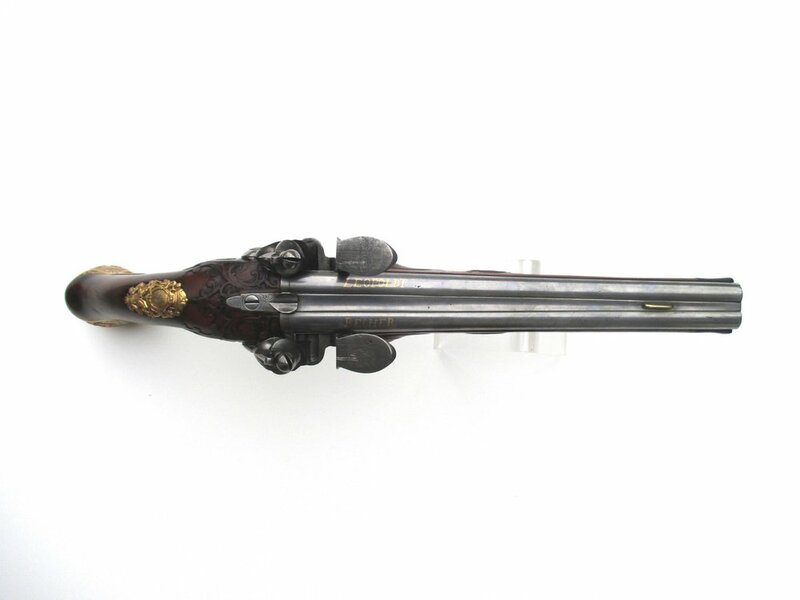 A rare pistol by one of the best Bohemian gunsmiths, Leopoldt Becher. 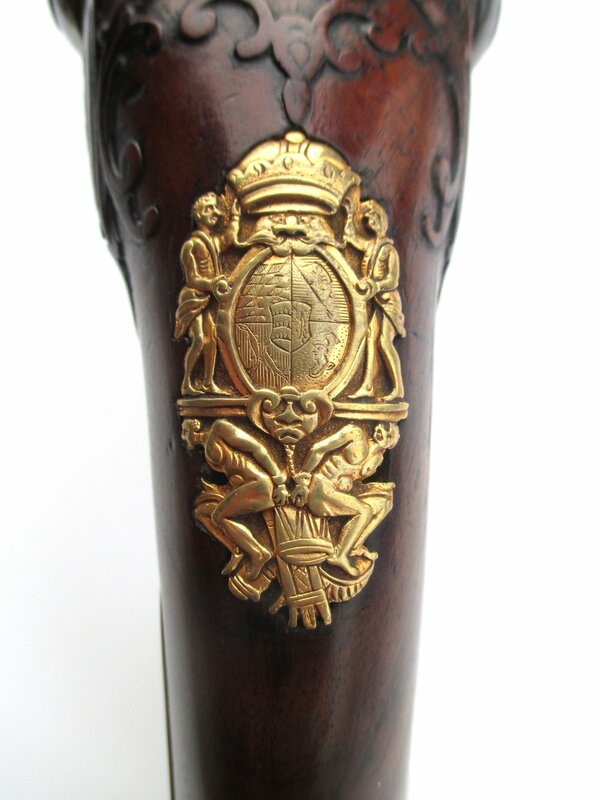 Side by side barrels signed in gold, locks with internal frizzen springs, highly chiseled with a sea monster motif, full stock well carved with scrollwork, high quality mounts chased and gilt with scenes of the hunt, typical of Carlsbad pieces, the escutcheon bearing the coat of arms of Wurttemberg, most likely that of Karl Christian Erdmann von Wurttemberg-Oels. Barrels: 11” 27.9 cm. .50 cal. O.A. 17 7/8” 45.4 cm.